What would happen if someone came up with a cure for being a zombie? Could these people be reintegrated back into society? These questions and more are looked at in Irish writer-director David Freyne’s first feature, THE CURED. As the story begins, we’re told that a virus has wreaked havoc across Europe, infecting millions of people and turning them into zombie-like cannibals. While most countries were able to manage their epidemics, Ireland was hit especially hard. A few years on, a cure has been developed and these people are slowly being integrated back into society. There are a few catches though. First, 25 percent of the infected appear to be resistant to the cure and they remain in lock down. Second, there is tremendous fear and distrust amongst the uninfected population for those who are cured. And third, the Cured (as they are called) have to live with the memories of what they did while they were infected. Senan (Sam Keeley) is one of the lucky ones. His American sister-in-law, Abbie (Ellen Page, JUNO; INCEPTION), has agreed to take him into her home that she shares with her young son, Cillian. But that’s about where his luck ends because he and all the other Cured are basically on parole and must report to the military police on a regular basis. Knowing that no one will hire him, he decides to work at the containment facility where he was housed for the past four years. It turns out that the virus works much like the mumps and measles. Once you’ve been cured, you can’t get it again and you can’t relapse, and that makes him an ideal person to work with those who are still infected. As lousy as his new life is, his best friend, Conor’s (Tom Vaughan-Lawlor, AVENGERS: INFINITY WAR), is even more hopeless. Once an up-and-coming young barrister with political ambitions, his family has shunned him and he now has to take a job as a street cleaner. 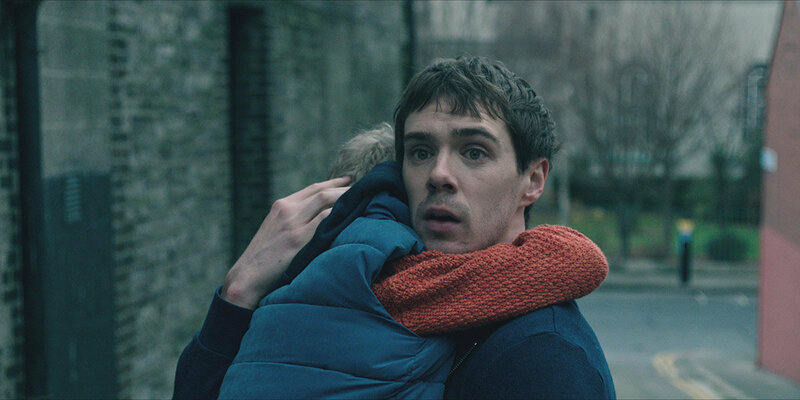 When Conor decides that it’s time for the discrimination against the Cured to end, Senan has to decide whether it’s possible for him to live a normal life again or to join Conor in the struggle. Not being a fan of the zombie genre, I went into this film with very low expectations. I came out, though, mildly entertained. It’s not bad! THE CURED has “low budget” written all over it but for what it is, it does an okay job. The story is coherent, the acting is solid all around and, with the exception of too much handheld camerawork, the photography with its bleak palate is reasonably good too. Although the story may be allegorical to the Troubles in Northern Ireland (the disease is called the Maze Virus, like the prison there), it also resonates with the current state of world affairs, especially in Europe, which has seen a massive influx of immigrants from Africa and the Middle East in recent years. Even though there is nothing physically wrong with these people, they still face discrimination and distrust from the general population on a daily basis. And just like the Cured, they, too, have to live with the emotional scars brought on by what they went through to leave their countries and make the dangerous journey to be able to start their lives anew. If you don’t mind zombie films, and especially those with some thought behind them, THE CURED is not a bad choice. Check it out! Watch the review recorded on Facebook Live on Friday, November 16th at 8:30 am HK time!